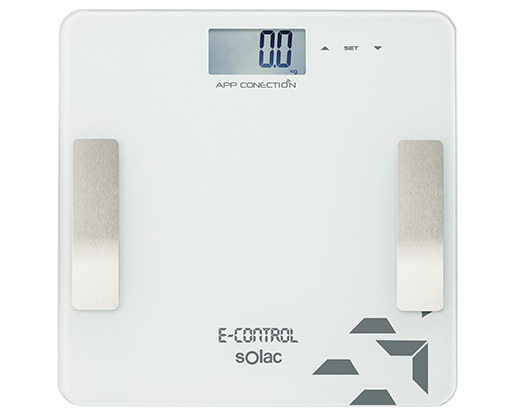 Home Products Solac Bathroom Scale Auto Off Switch LED Display Glass White "E Control"
Solac Bathroom Scale Auto Off Switch LED Display Glass White "E Control"
Smart analysis app: easy and intuitive to use for controlling and monitoring physical condition (bmi, kcal consumption, weight, fat and water level, muscle and bone mass). High data capacity app: up to 12 months with multiple user accounts. memory for 12 users. Bia method (electrical bioimpedance) determines body water and fat-free mass. Maximum capacity 180 kg (396 lbs). Weight measure selection: kg / lbs.